Draft: 2012, Baltimore Orioles, 4th rd. Married to Amanda…the couple met as freshmen at KennedyKendrick Catholic (Pa.) High School in 2006....Acquired by D-backs for cash considerations (March 28, 2017)...Born and raised in Norristown, Pa….other Norristown natives include Hall of Famers Tommy Lasorda (baseball), Mike Piazza (baseball) and Geno Auriemma (college basketball). Hit .163 (8-for-49) with 2 doubles, 3 home runs and 6 RBI in 37 games over 5 stints in his second season with the D-backs...Hit 2 pinch-hit home runs (both off Clayton Kershaw/LAD)...Suffered a facial fracture on Sept. 24 vs. Dodgers and was placed on the 60-day disabled list on Sept. 29...Batted .299 (97-for-324) with 25 doubles, 18 home runs and 71 RBI in 84 games with Triple-A Reno... Named Pacific Coast League Player of the Week for July 9-15. Hit .250 (3-for-12) in 11 appearances in his first season with the D-backs...Named Pacific Coast League Most Valuable Player after batting .309 with 34 doubles, 32 home runs and 114 RBI in 133 games with the Aces...He was named a PCL mid- and postseason All-Star, and ranked among the Minor League leaders in RBI (1st), extra-base hits (1st, 75) and home runs (T-2nd), while he led the PCL in runs (104) and total bases (307). POSTSEASON: Played in 2 NLDS games vs. Dodgers as a pinch-hitter. Led Class AAA Gwinnett with 18 HR, 64 RBI, 131 games and 64 runs scored...played left field and first base for the Tides, while also serving as the designated hitter...hit .312 as the DH or the first baseman....was International League Player of the Week for 8/15-8/21 (.333, 4 2b, 3hr, 7rbi)...hit 14 of his 18 HR off righthanded pitchers. Named the Brooks Robinson Minor League Player of the Year...Hit a combined .288/.357/.489 with 53 extra-base hits, 96 RBI and 73 runs scored in 139 total games with Double-A Bowie (.301/.367/.516 in 95 games) and Triple-A Norfolk (.259/.335/.428 in 44 games)...Had his contract selected from Triple-A Norfolk, September 17 and made his ML debut that night, collecting 1st big league hit, a double off of J.A. Happ, in the 7th inning...Hit first ML HR, September 20 vs. BOS, a 4th inning solo shot (Rubby De La Rosa)...Led all Orioles minor leaguers in home runs (26) and RBI (96)...Named the first baseman for the Eastern League Season Ending All-Star Team, finishing the season among the EL leaders despite being promoted to Triple-A in July, ranking 2nd in RBI (77), 3rd in slugging (.516) and 6th in average (.301)...Also was Named EL Player of the Week twice: weeks ending April 20 and May 18...Rated by Baseball America as the Orioles #3 prospect following the season, as the Best Power Hitter in the Orioles system, and as the Best Defensive First Baseman in the Eastern League...Selected by Baseball America to the Second Team All-Star Team and Double-A All-Star Team following the season. Named Organizational Player of the Month for April, as he hit .360 (31-for-86) with three home runs and 16 RBI...Selected to the MLB All-Star Futures Game...Named Carolina League Player of the Week for week of July 1-8. Batted .284 with two home runs and nine RBI in 22 games...Was named the New York-Penn League Offensive Player of the Week for July 16-23. October 30, 2018 Arizona Diamondbacks activated 1B Christian Walker from the 60-day injured list. September 29, 2018 Arizona Diamondbacks placed 1B Christian Walker on the 60-day disabled list. Facial fracture. August 28, 2018 Arizona Diamondbacks recalled 1B Christian Walker from Reno Aces. 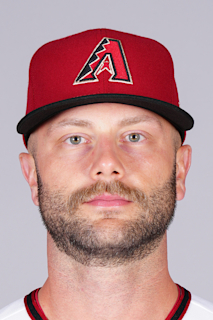 July 2, 2018 Arizona Diamondbacks optioned 1B Christian Walker to Reno Aces. June 29, 2018 Arizona Diamondbacks recalled Christian Walker from Reno Aces. June 11, 2018 Arizona Diamondbacks optioned 1B Christian Walker to Reno Aces. June 10, 2018 Arizona Diamondbacks recalled Christian Walker from Reno Aces. May 18, 2018 Arizona Diamondbacks optioned 1B Christian Walker to Reno Aces. May 15, 2018 Arizona Diamondbacks recalled Christian Walker from Reno Aces. May 3, 2018 Arizona Diamondbacks optioned 1B Christian Walker to Reno Aces. April 8, 2018 Arizona Diamondbacks recalled Christian Walker from Reno Aces. March 20, 2018 Arizona Diamondbacks optioned 1B Christian Walker to Reno Aces. October 6, 2017 Christian Walker roster status changed by Arizona Diamondbacks. October 4, 2017 Arizona Diamondbacks reassigned 1B Christian Walker to the minor leagues. September 10, 2017 Arizona Diamondbacks selected the contract of 1B Christian Walker from Reno Aces. March 30, 2017 Arizona Diamondbacks sent 1B Christian Walker outright to Reno Aces. March 28, 2017 Arizona Diamondbacks claimed 1B Christian Walker off waivers from Cincinnati Reds. March 22, 2017 Cincinnati Reds optioned 1B Christian Walker to Louisville Bats. March 6, 2017 Cincinnati Reds claimed Christian Walker off waivers from Atlanta Braves. February 25, 2017 Atlanta Braves claimed 1B Christian Walker off waivers from Baltimore Orioles. February 21, 2017 Baltimore Orioles designated LF Christian Walker for assignment. October 5, 2016 Baltimore Orioles activated LF Christian Walker. October 4, 2016 Baltimore Orioles reassigned LF Christian Walker to the minor leagues. October 3, 2016 Baltimore Orioles recalled LF Christian Walker from Norfolk Tides. July 1, 2016 Norfolk Tides activated LF Christian Walker from the temporarily inactive list. June 25, 2016 Norfolk Tides placed OF Christian Walker on the temporarily inactive list. March 26, 2016 Baltimore Orioles optioned OF Christian Walker to Norfolk Tides. September 15, 2015 Baltimore Orioles recalled Christian Walker from Norfolk Tides. July 9, 2015 Baltimore Orioles optioned 1B Christian Walker to Norfolk Tides. July 8, 2015 Baltimore Orioles recalled Christian Walker from Norfolk Tides. March 16, 2015 Baltimore Orioles optioned 1B Christian Walker to Norfolk Tides. October 17, 2014 Christian Walker roster status changed by Baltimore Orioles. October 2, 2014 Baltimore Orioles reassigned 1B Christian Walker to the minor leagues. September 17, 2014 Baltimore Orioles selected the contract of 1B Christian Walker from Norfolk Tides. July 17, 2014 1B Christian Walker assigned to Norfolk Tides from Bowie Baysox. March 2, 2014 1B Christian Walker assigned to Baltimore Orioles. September 19, 2013 Bowie Baysox activated 1B Christian Walker from the 7-day disabled list. August 13, 2013 Bowie Baysox placed 1B Christian Walker on the 7-day disabled list retroactive to August 12, 2013. July 15, 2013 1B Christian Walker assigned to Bowie Baysox from Frederick Keys. May 12, 2013 Christian Walker assigned to Frederick Keys from Delmarva Shorebirds. March 31, 2013 Christian Walker assigned to Delmarva Shorebirds from Aberdeen IronBirds. February 27, 2013 1B Christian Walker assigned to Baltimore Orioles. September 12, 2012 Christian Walker roster status changed by Aberdeen IronBirds. August 9, 2012 Aberdeen IronBirds placed 1B Christian Walker on the 7-day disabled list. July 6, 2012 1B Christian Walker assigned to Aberdeen IronBirds. July 5, 2012 Baltimore Orioles signed IF Christian Walker.